Nothing like enjoying a cup of tea or coffee and a warm cherry scone. Yum! I love scones, but I hate all of the calories. So I decided to find a way to make them with a lot less calories than my original version. This version can be adapted to add what ever fruit you like best. 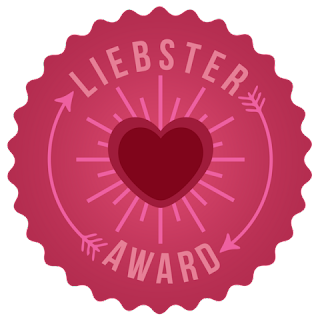 What is a Liebster Blog Award? Well, Liebster Blog Awards are given to blogs with less than 200 followers by other blogs with less than 200 followers. It's a wonderful way to promote and support one another. You learn about the other bloggers, show each other some love, and hpefully everyone will get a few more followers as a result. If you accept the award, you will nominate 11 other bloggers. Birds like to eat so why not make their feeders fun and whimsical. I am always looking for new ways to create bird feeders for my garden. I have been working on my side garden lately since it is right out side my window where I have my computer. You already saw my fountain in My Little Squirrel post, today I will show you my new bird feeders. This one is just a little whimsical. Wonder if the birds think so? What to do with those single silver salt shakers? Have you ever come across beautiful silver salt and pepper shakers but there was only one of them. Sometimes you even find a pair. I love to collect silver salt and pepper shakers although I don't really use them that way. I love to display them and use them as vases. We have all seen how great old windows are - many linky parties feature projects and decorating ideas what use old windows - table tops, home decor, garden ideas and the list goes on and on. But did you ever think about using old windows to create a person? Well, that's exactly what this couple did up the road from me. Sometimes you just have to adapt your recipe. I have made these cookies from Giada De Laurentiis several times and love them. The recipe calls for lemons but when I went to make it I only had oranges. So why not! They are a very moist cookie and they freeze well. That is if you have any left to freeze! Did you ever go to a garage sale and bought something because you felt bad about not buying something. Crazy right! Well, I went to this yard and this older gentleman had a lot of stuff - sort of- but no buyers. I was going to leave but he smiled and I thought there must be something I could purchase. I am so excited to be co-hosting Let's Get Social Sunday along with Evelyn @ My Turn for us, Jamie @ Loves Bakes Good Cakes, and Jackie @ Rediscover Mom. Be sure to stop over for a visit! What a great way to meet new bloggers and grow your blog through various social media sites. Now let's get social and share the love!! What a lovely tree this is. Its full name is Tabebuia caraiba and grows from central Florida southward. In the spring it produces clusters of yellow trumpet flowers. It is my husband's annual golf outing with his brother, cousin and dad. Each year they come to Florida to golf. This year they decided to come to our house in Eustis. They golf and I cook. Well, it is not that bad since I like to cook and I get to garage sale while they are out. I came across this little stool at a garage sale. She was asking $5 but I got it for $2.50. My desk is a great place to work, because it is beside two large windows that looks out on my side garden. I am still working on getting this garden populated with plants and yard art. The other day this squirrel came over to the fountain for water. He climbed up and drank not only from the tray on the fountain. I first saw this recipe when Rachael Ray made it several years ago. She makes her tomato sauce by adding fresh tomatoes, but I cut some corners and it still turned out great. With a side salad this makes a great meal. It is like deep dish pizza but has more filling. My family loves this and requests it often. If you have followed my blog, you know that I have several mango trees in my yard. Last year was a bumper crop. I had more mangoes than I knew what to do with. I made everything with mangoes. Finally, we decided after giving many away to freeze the rest. We cut them into chucks and froze them - all 40 quart bags of them. Yes, I had mangoes! Well, I try to use them as much as possible from the freezer, but it seems like they are multiplying in there. Guess what - my trees are loaded again. So I have been trying new and familiar recipes. I found this one and made changes. I sent it to work with my husband for all of his employees. I have to do something here !! They loved it so I am sharing it with you.